Packaged in a printed tri-fold card sleeve, with a disc in each side and 7 b&w printed art cards in the middle. The tri-fold card sleeve, in turn, is packaged in a tri-fold card cover with a tongue and groove closure, along with an obi strip embossed with the label's name. The second instalment of the collaboration between Autechre and The Hafler Trio. Disc 1: © 2005 Die Stadt - Published by Warp Music/Freibank. All rights reserved, that's not your date, nope. Disc 2: © 2005 Die Stadt - Published by Warp Music/Freibank. All rights reserved, tip not included, leave it under the plate please. Die Stadt website says: "2500 copies. 3rd press of 500 copies." I guess it means 3000 copies exsist. ⬇️ It's a 2 second difference. So what? Lol . Track timings are slightly off. The correct durations are 32:34 and 49:38. Honestly, this is not something easy to listen to. If anything, this is best suited as a background music. Maybe something to pop in while you're reading, playing video games, or maybe even while you're falling asleep. 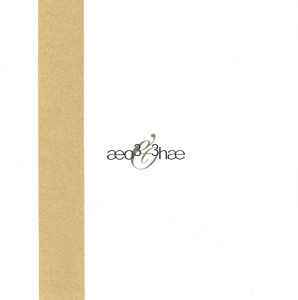 Autechre has never really done anything like this before, minimal ambience. While there are 2 different tracks here, each "song" gets it's own chapters. So no its not just 2 really long songs... its more like about 20 short tracks merged into one long listen. There is supposed to be only 1000 of these out there, so if you're a big fan of either artist, get it before they're all gone!